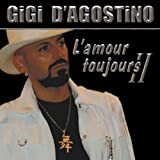 These are lyrics by Gigi D'Agostino that we think are kind of repetitive. How many times this part is songed? I have no idea, but it are too much times.